A talk with the creator and constructor of 3 Sisters rock in Methlang. 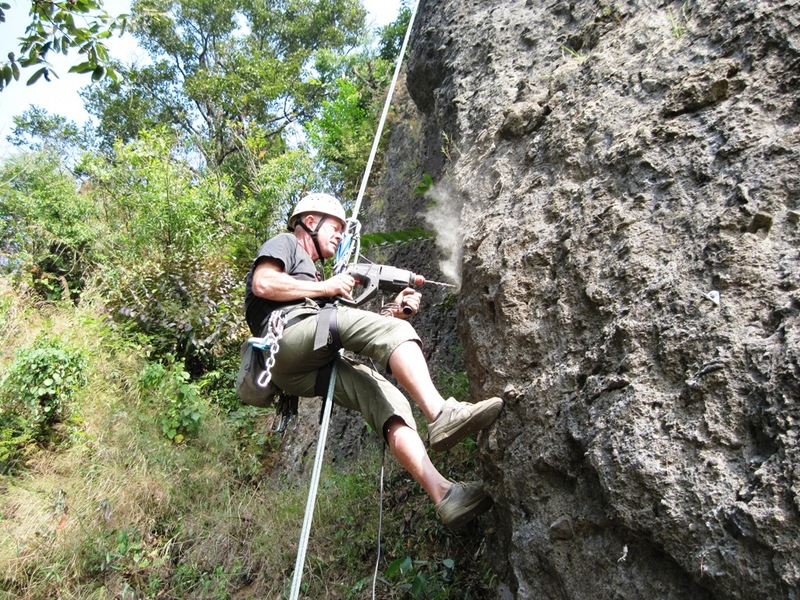 We came in contact with Harry Brands during a rock climbing training in Nagarjun National park in December 2005. At that moment Harry was laying the last hand on something he had started in 2003. Three Decembers long, Harry and some of his Sherpa friends, worked hard to realize this well-known climbing spot in Kathmandu valley. At the beginning with some help from the NMA, later mostly with his own sponsoring and financial input and some helps from his contacts in the Netherlands. His idea was to make rock climbing as an accessible sport for everybody and to construct it in a solid and safe way, so it would last for long time. At that moment Dicky saw the work and invited Harry to come to Pokhara to have a look in Pokhara to see if it was possible create a climbing and training wall for EWN/3 Sisters Adventure. 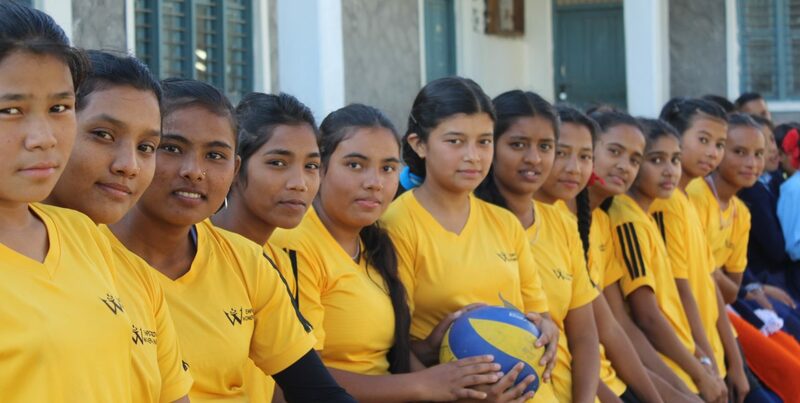 In 2007, Tendy Sherpa and Harry came to Pokhara and started some training program for the girls and found out that there was no suitable location for real rock climbing. Only some boulders at the top of Methlang, so two trainees were invited to come for their training to Kathmandu. In the meantime Tendy Sherpa continued his work and found a rock wall which was suitable for climbing, but the location was too dangerous to access; steep grass slopes and a very narrow place to stand or rest under the rock. 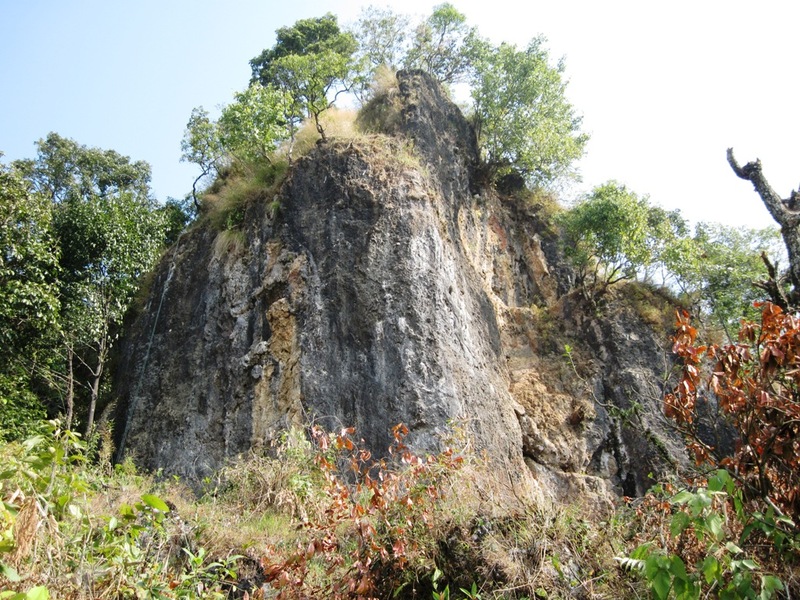 During the training in 2008, Harry and Tendi went through the jungle to look at all possible rock formations to see if anything was suitable, but all were too small of size or unstable and too dangerous to climb on. At last they went all the way to the top of Methlang and there they saw, on a fresh cut field that was just stripped of from trees, two rock pillars. The rock looked nice and offered some nice possibilities to climb. A farmer who was working on the field asked if they were looking for more rocks and directed them to the place which now is known as 3 Sisters rock. Two big trees had hidden the rocks all the time from a view from lake side, so for that reason it took so long to find this spot. With the bolts which Harry still had from the project in Nagarjun, climbs nr. 5 – 10 – 13 and 14 were opened. In 2009 Harry continued his work and opened the other numbers. Still one climb was a project, waiting for somebody to climb; nr 7 (Dare it) was still not bolted or climbed. In August 2011 Aaron Hartig was able to scale this difficult wall and it was graded as a 7b/c. Since the last years more climbs were opened and still parts of the wall offer some nice climbs, but it’s a lot of work to clean the rocks from plants, bushes and sand. Every year the new trainees of EWN have rock climbing courses and Harry selected a team of climbers who are able to lead and guide on 3 Sisters Rock. A few years back they impressed the instructors of the NMIA during training in Nagarjun with their performances. When they found out that Harry was their coach they were not so surprised since they already knew the work of Harry for years. Harry is a rock climbing instructor and training coach for the NKBV (Dutch climbing club) and does lead rock climbing courses in Belgium and France and also coached many Dutch rock climbing instructors before taking exam classes. Harry himself was for over 10 years a member of the exam board for the same club some years back. We are very pleased with his help as a volunteer and hope he will support us for many more years to come.